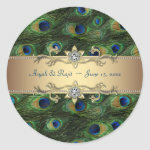 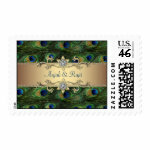 This Elegant Emerald Green Gold Peacock wedding stationery set looks very decorative and colorful. 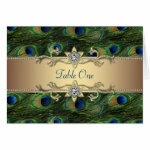 The best choice for formal weddings. 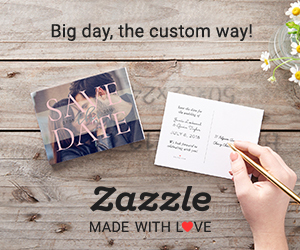 The mailing set includes personalized wedding invitations, "save the date" and response cards, matching stickers and postage stamps, ceremony program and menu templates, table numbers and many more!